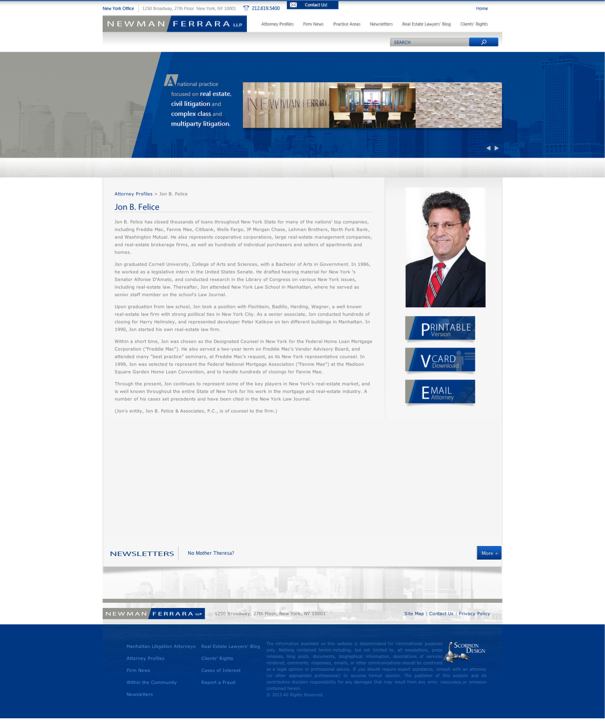 Felice, Jon B - Jon B Felice & Association (Lawyers) is practicing law in New York, New York. This lawyer is listed on Lawyer Map under the main category All Law Firms in Lawyers. Felice, Jon B - Jon B Felice & Association is listed under Lawyers in New York, New York . There's currently no information available about fees or if Felice, Jon B - Jon B Felice & Association offers free initial consultation. The information below about Felice, Jon B - Jon B Felice & Association is optional and only visible if provided by the owner. Call (212) 867-2700 to learn more. Contact Felice, Jon B - Jon B Felice & Association to find out about hours of operation / office hours / business hours. Listed business hours are general only. Call (212) 867-2700 to learn about office hours.